© 2018 Epic Print & Promo. All Rights Reserved. Call us today at (559) 594-9444 for all your printing and marketing needs! Your Printing & Marketing Professionals! Flyers, Post Cards, Business Cards, Stickers, Door Hangers & More! 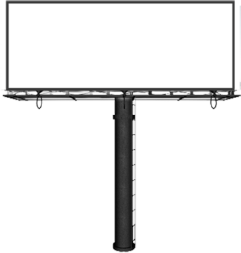 Billboards, Banners, Specialty Signs & More! Tailored Solutions for Businesses of all Sizes! Southern California’s Preferred Print & Marketing Company! We are a full-scale printing company located in the heart of Visalia, CA. Handing projects of all sizes, Epic Print & Promo is your one stop destination for all your marketing needs. QUALITY YOU CAN FEEL AND SEE! We made a ton of money for our charity on the t-shirts Epic printed for us this year. They did a beautiful job, on time, no surprises. Save time and money! Go with Epic! The best customer service! The graphic designer was so patient and understood my needs. They helped put together exactly what I wanted and QUICK! Prices are excellent too!! Will be using them again and again for all my printing needs! First time I went in here I was greeted by their beautiful huge friendly dog (I'm a fan of a business pet). They had never printed personal artwork before and were more than willing to help me. Customer service from all their staff was amazing! They went out of their way to make sure I had perfect prints and even cut them to size for me. I had large color glossy prints made and thought the price was entirely reasonable. I will definitely be going back for more. Epic is a great place to get business cards, post cards, car magnets, and just about anything else you can think of. 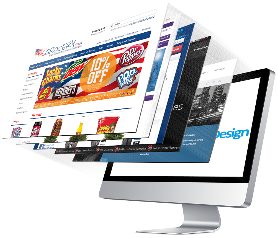 Epic can design any template to choose from, and they make the designing process very easy. I've ordered from them at least a dozen times over the years and have always been satisfied. The cheaper cost doesn't mean cheaper quality. Epic delivery time is 100% on time. 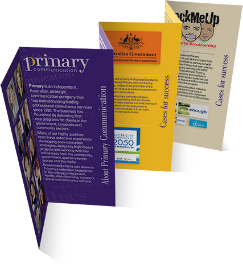 For your everyday marketing supplier Epic Print & Promo would by my first choice. I have ordered several thousand tractor fed forms from Gene and Rachael. These forms feed exceptionally well and I have never had a jam since switching to Printing for Charities. Lead times are short and customer service is excellent. Keep up the great work!!! Epic is always on top of the job. Speaking from personal experience, as well as business for the Exeter Lions Club, Epic has treated us more than fair. 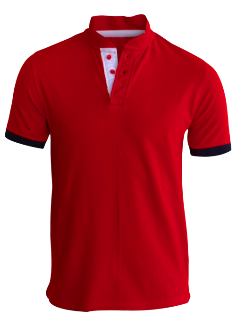 They consistently produce quality work at more than reasonable prices. A big ‘Thumbs up’ and keep up the good work. I have searched near and far for a company that is reliable and trust worthy. I am a Head Coach for Central Valley Quest girls fast-pitch softball. Epic Print and Promo has supplied me with friendly service, great prices, and most importantly quality products delivered on time. Keep up the great work and God Bless Sincerely Leroy Smithson. It is nice to see that there is a business that cares more about your business then their own. My experience with Gene, Rachael and their staff was top notch. I would recommend them to everyone I know and anyone I don’t. 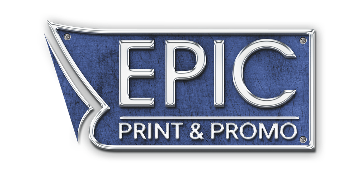 I have been doing business with Epic Print and Promo for a almost 3 years now. They have done business cards, flyers, and most recently some tri-fold brochures for us to hand out to corporations, schools, and large events. They were awesome and we had an amazing response from people who received them. I would definitely recommend anyone looking to brand, advertise, and look good doing so to talk to Gene or Rachael and they will definitely make it happen. BTW anything you have made with them gets put up on there biz Facebook and is great for new leads. Great Company super friendly and very easy to deal with!!! Some great words from our customers.